Unit 6, G/F Aberdeen Marina Tower, 8 Shum Wan Road, Aberdeen, Hong Kong, 0000, Hong Kong. Simpson Marine is the Asian distributor for a wide range of top European and American yacht brands and provides region-wide customer support with its main service centres in Hong Kong, China (Shenzhen & Hainan), Singapore, Malaysia, Taiwan and Thailand. 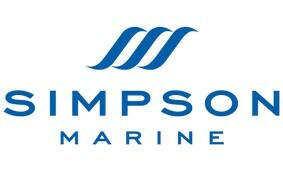 Simpson Marine also offers a full range of yachting services throughout Asia. These services include new production yacht sales, new custom yacht construction, pre-owned yacht brokerage, international and Asian charter, yacht servicing, maintenance and management.